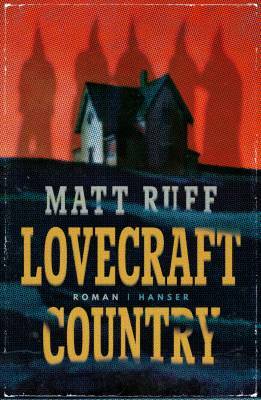 The German edition of Lovecraft Country should (finally!) be in bookstores today. The translation is by my old friend Anna Leube, the editor responsible for bringing Fool on the Hill (and me) to Germany many years ago, and Wolf Heinrich Leube. The cover is by Peter-Andreas Hassiepen. The UK and Czech editions of Lovecraft Country are also available now, and Brazilian, French, Hungarian, Italian, Polish, Russian, Spanish, and Taiwanese editions are forthcoming.